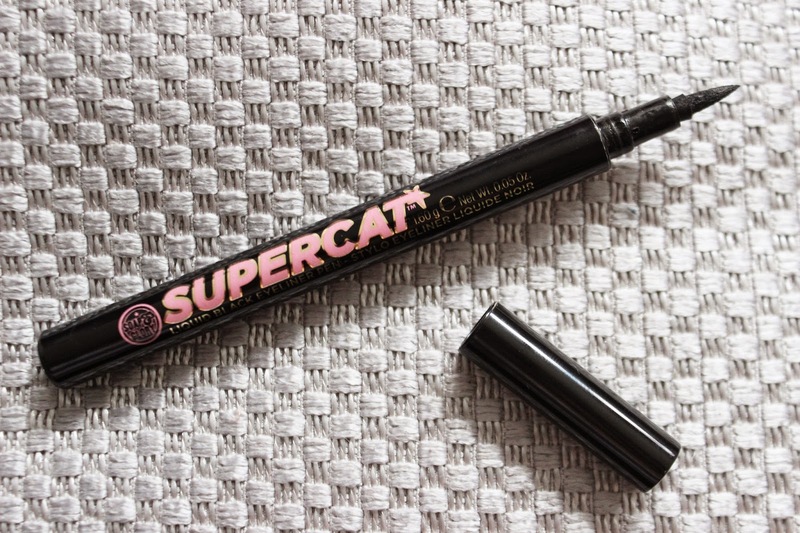 Soap & Glory’s Supercat Eyeliner is a felt tip liner, with a firm nib. It’s one of the most easiest to apply and can create both thick and thin lines. I find keeping the pen horizontal to my eye and dragging it across works best. 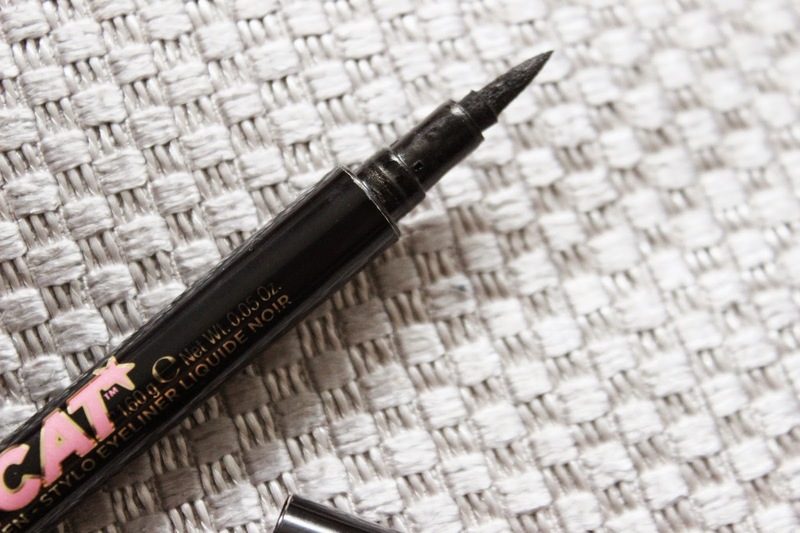 It doesn’t pull or tug and there’s no need to go back over the liner as the formula is near enough jet black. The liner dries relatively quickly and has a velvety finish. This liner creates the best cat eye/retro/feline flick, in just a few simple swipes and is easy to remove. You can see me wearing it here. This eyeliner is close to perfection, however I’m sad to say it has one major downfall... it has the tendency to smudge... *dun, dun, duuuun!*. Now, the liner drys relatively quickly, so doesn’t smudge upon application, however, if worn alone on the lid, I do find that after a couple of hours the liner often transfers to the top of my lids and the feline flick will have faded and smudge slightly. 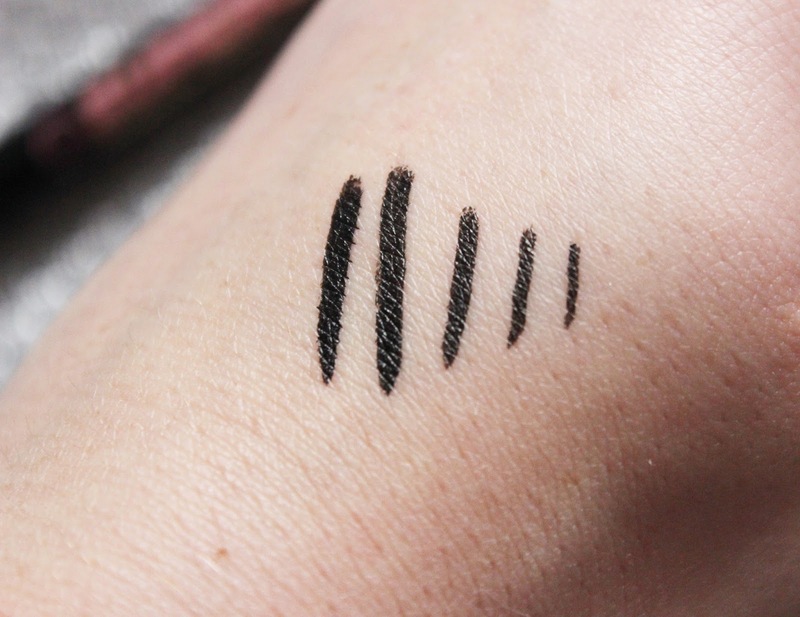 That being said, when this liner is applied on top of eyeshadow/base it lasts all day! You have be warned. In comparison I rate the Soap & Glory's Supercat Eyeliner Pen above the Maybelline Lasting Drama Gel Eyeliner Pen. It is easier to apply than my favourite Bourjois Pinceau Eye Liner, but isn’t as (glossy) black, or long lasting. The pen doesn't dry out as fast as L'oreal Super Liner Perfect Slim and the nib on the Supercat eyeliner is much studier, therefore easier to control.